MANY THANKS TO THIS PAST YEARS’ SPONSORS AND DONORS! WE NEED SPONSORS and DONORS FOR 2019! depends on angels like you to help make this great fundraising concert benefiting Rady Children’s Hospital possible. So many children benefit from and depend on this fundraising event to cover increasing costs of health care. In addition to the amazing entertainment, at each concert we will offer live & silent auctions, plus raffle prizes! 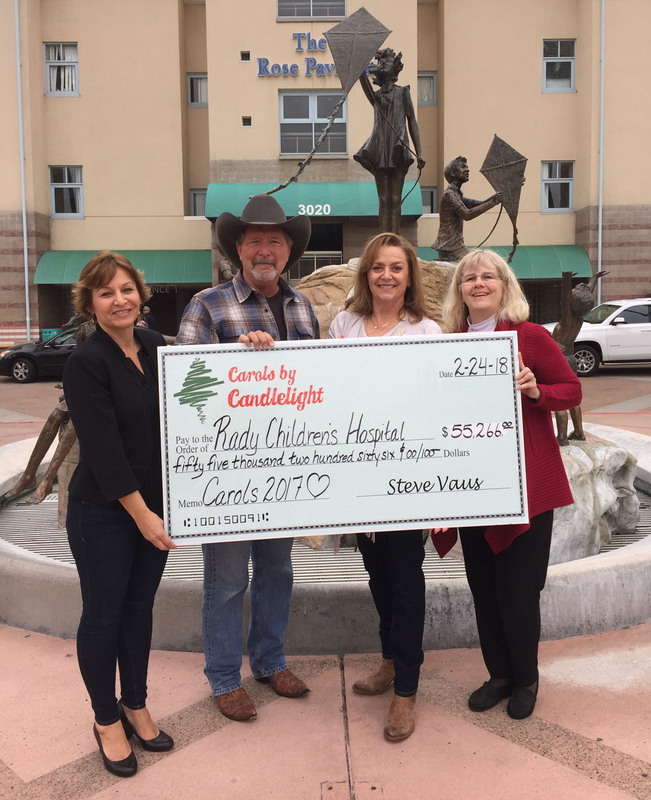 This is where you and/or your company can help us raise money for the Rady Kids!